General Motors has refuted a study claiming that an airbag defect in its recalled vehicles is responsible for 303 deaths, based on data from the National Highway Traffic Safety Administration's Fatal Analysis Reporting System. General Motors has refuted a study claiming that an airbag defect in its recalled vehicles is responsible for 303 deaths, based on data from the National Highway Traffic Safety Administration’s Fatal Analysis Reporting System. 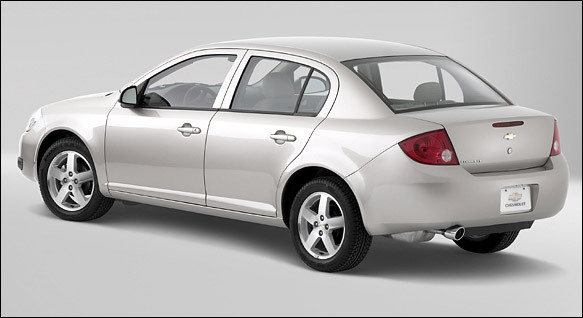 The allegation was made two days after the Justice Department began investigations into the long-delayed recall of Chevrolet Cobalts with defective ignition switches. Watchdog group the Center for Auto Safety made the claims on Thursday in a letter that criticized the NHTSA for not detecting the air-bag failures and the defective ignition switch. In a New York Times article, GM criticized the database’s use. "As knowledgeable observers know, FARS tracks raw data," said Greg Martin, GM’s executive director of comms, in the article. "Without rigorous analysis, it is pure speculation to attempt to draw any meaningful conclusions." Martin told PRWeek that "pushing back" is not a part of a communications strategy GM is using on the matter going forward. "I’d cite [GM CEO Mary Barra’s] employee message as our guiding principles throughout," he said. In a March 4 letter to staffers, Barra, who became GM’s CEO in January, said in response to the crisis that the company has created a working group of executives that she will lead to direct GM’s response, monitor progress, and make adjustments as necessary. She also launched an internal review to give the automaker an "unvarnished" report on what happened. "We will hold ourselves accountable and improve our processes so our customers do not experience this again," wrote Barra. "We sincerely apologized to our customers and others who have a stake in GM’s success." She also noted that the company’s reputation will not be determined by the recall itself, but by how it addresses the problem going forward. GM on Wednesday said it was focusing on ensuring the safety and peace of mind of its customers involved in the recall as it faced new investigations from the Justice Department, which is looking into the company’s handling of the Cobalt recall.